Today is the due date for federal income taxes, but it is also Tax Freedom Day, the day Americans will finally have worked long enough to pay all federal, state and local taxes. We also calculate Tax Freedom Day by state, and reporters and taxpayers around the country have been analyzing our numbers in the past weeks and seeing how their state compares. 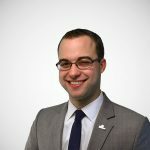 Yesterday morning, Tom Sgouros at Rhode Island’s Future posted a blog that offers some criticism of the concept of Tax Freedom Day. His main gripe is that we talk about the costs of government and not the benefits that government services provide, but of course the costs are our specialty as the “Tax Foundation.” That aside, he is concerned about how the calculation is crafted; mainly the fact that we adjust for tax burdens that are shifted across state lines. Of course my experience with the Tax Foundation says that you can trust their numbers, but it always pays to read the footnotes so you know what those numbers actually are because they are seldom what you think. In the footnotes and cross-references, you learn, for example, that their calculations of state taxes usually include the state taxes you pay to other states. No joke. This is indeed correct. We do this because when the government levies a tax, the tax is not only borne by the person who actually pays it, but it is passed on to other actors in economy because taxes affect prices. Often, this sharing of tax burdens (what economists call “economic incidence“) crosses state borders. The perfect example of where this adjustment is necessary is in Alaska, which gathers a substantial amount of their revenue from taxes on oil. So while Alaska has the highest tax collections per capita of any state by far, the residents of Alaska will tell you that the taxes they pay are fairly low, because most of those collections are from oil companies. The rest of us around the country pay those Alaskan taxes in the form of higher prices at the pump, but Alaskan residents do not have a personal income tax or a statewide sales tax. For our Tax Freedom Day calculation (and also for our Burdens report), we use a model that parses out this economic incidence of taxes. We do it this way so that we are accomplishing exactly what we set out to show: “how long people in each state work to pay federal, state and local taxes.” The appeal here is to the American taxpayer, so that we all can get a better sense of how long we are working for government services. This gets to the heart of my complaint about the Tax Foundation. When I’m looking at economic or tax data I don’t just want information. I want information relevant to the decisions before us. The Tax Foundation specializes in information that isn’t relevant to any particular decision. Why do I care how much of my money goes to other states when I’m discussing tax policy in Rhode Island? Ironically, Sgouros’ state of Rhode Island actually fares better when we consider this cross-state tax shifting. Rhode Island’s Tax Freedom Day is 21st in the nation, but if you just look at tax collections (which I assume are what he thinks are more “relevant”) Rhode Island ranks 18th. Of course, we publish mountains of data each year, so the fact that this particular calculation is not of interest to Sgouros should not at all be a problem. We rank the states in almost every category you can think of in our annual publication Facts & Figures, and also have a wide variety of metrics in our State Business Tax Climate Index. We have state by state collection data (which does not adjust for cross-state tax shifting), revenue data, burdens data, as well as rates on personal income, corporate, sales and excise taxes. We pride ourselves on reporting data that is useful and informative to a wide swath of taxpayers and decision makers, so I hope Sgouros will continue to look around our website, as I’m sure he’ll find a few things that are relevant to him.